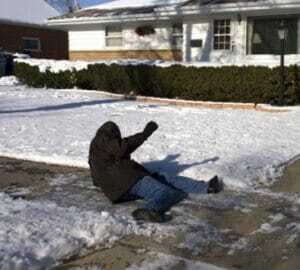 Slip and Fall is among the most common types of personal injury claims cases. In Nova Scotia, there is a duty on occupiers of premises to ensure that everyone who enters upon them is reasonably safe while on the premises. This is covered under the Occupier’s Liability Act and applies to owners, occupiers, tenants or other persons or entities that occupy stores, restaurants, housing or other public places. This means that if you or someone you know has been injured on someone else’s property, whether private or public property, you may be able to pursue a claim for compensation. Hopefully your slip and fall injury only results in some minor injuries, but in the case that you can’t work (whether temporarily or permanently) or incur medical bills for health care or physiotherapy for rehabilitation, then it is likely to be considered serious enough to file a claim for compensation. Injuries can range from migraines and concussions to broken bones, fractures, neck, back and spinal injuries as well as nerve or soft tissue damage. When an accident becomes fatal, meaning it results in the death of an individual such as a family member or loved one, then a wrongful death claim will be made to recover compensation as result of death for damages against the party held liable as well as benefits that can be paid to the family as a result of future lost income. Whether you slip on ice or water, trip on concrete, fall in a hole or injure yourself in any other unsafe situation, we handle all types of slip and fall cases. If you suffered injuries as a result of a slip, trip or fall, contact us to set up a free, no obligation consultation at one of our offices in Halifax, Coldbrook or Wolfville. If you are badly injured or unable to come to one of our offices, we can come to you.